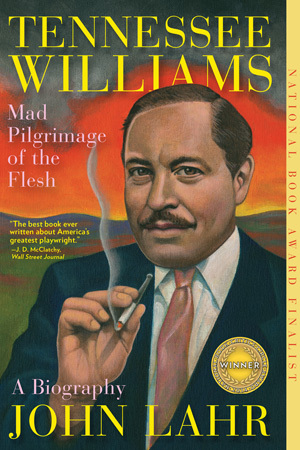 Early in 2016 I read Tennessee Williams: a Mad Pilgrimage of the Flesh, an extensive biography by John Lahr of one of America’s best playwrights. This telling of his life and work shows a singular, visionary artist, haunted by the strange dynamics of his family. He ran through drugs, alcohol, and romantic relationships in a kind of fever dream while producing some of the greatest plays of the twentieth century. Thinking I may like to create a contemporary fine press edition of a Tennessee Williams’ work, I began reading through his one-act plays, from the collection by New Directions Publishing, THE MAGIC TOWER and Other One-Acts. As I read, I became despondent. The one-acts are wonderful and fantastically compact. As a visual artist, however, interested more in site and setting than character, I could not find a foothold around which to make a work, until I read the one-act Kingdom of Earth originally published in 1967. The setting for Kingdom of Earth is a character in itself and carries throughout the play a tension full of apocalyptic foreboding. A storm is flooding a nearby river. A property owner upriver is expected to dynamite his levee if the river continues to rise, which will flood the Mississippi Delta farmhouse in which the action is taking place. The sound of the river pervades the play with a constant rising murmur while the three main characters enact a dark dance around one another that touches on issues of race, sexuality, and survival. Over the summer I visited one of Tennessee Williams’ archives located at Harvard in their Theater Collection at the Houghton Library. While there, I saw several original manuscript versions of the play in addition to an unpublished critical essay on the work. Throughout my research I have also looked at historic images of the Great Mississippi Flood of 1927. These images have profoundly influenced the direction of my imagery for this work. I could not be more excited to work on this project and I am so thrilled that New Directions Publishing is granting permission to reprint this work in a contemporary fine press edition. I will be posting more on this project including images from production. Printing starts this week! If you’d like to receive email updates about this work, subscribe here.